Noida property market witnessed new sales of only about 3,800 homes during the April-June period, lowest in the last eight years, due to dip in demand from investors, according to the report. 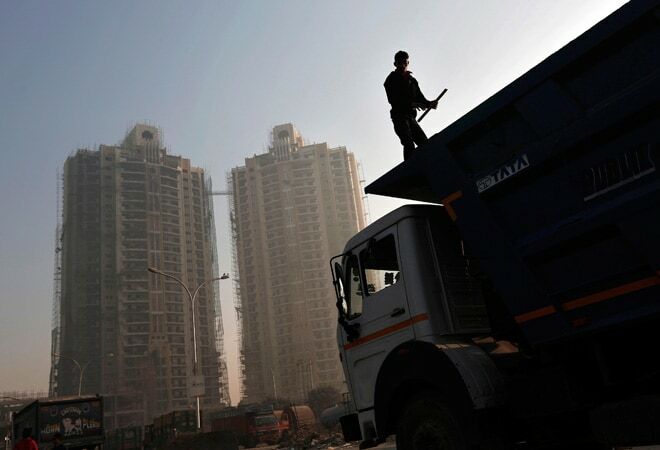 "The housing market in Noida continues to remain difficult, absorption rate lower than 2009 levels, new supply/launches halved compared to period (calendar year 2008-13) and pressure on pricing," BofA-ML, an American brokerage firm, said in a research report. The second quarter of calendar year 2015 witnessed "new sales of about 3,800 units which is lowest in the last eight years", it added. "Absorption rate at 3.7 per cent is lowest in last eight years as investors who held the housing market in the past seemed to have deserted the market given poor visibility on timely delivery, price appreciation and exits," said the report. "Although we believe unsold inventory has peaked at about 1,00,000 units, the same equates to 16 quarters at current sales velocity; again highest in last 8 years... 4-year inventory is worrisome...," the report said. It attributed the slow growth in employment generation and perceived poor state governance as the key reasons for "poor absorption and high unsold inventory in Noida". "We don't see this as a new trend but we shall keep a keen eye on the same," it said. "About 40 per cent of the total sales in 2QCY15 were contributed by new launches alone," it said. Gurgaon's unsold inventory has seen an exponential rise over last 2.5 years indicating significant slowdown in sales. "We foresee weakness to stay through calendar year 2015 before possible recovery in calendar year 2016," the report said. To improve sales and cash flow, the brokerage said that there is a need for notable rise in new launches with freebies and discount schemes as well as reduction in investor inventory in secondary market.